Unless you’ve been living under an iPad-less rock for the past couple of weeks, you have undoubtedly heard that Apple is going to announce it’s latest version of the iPad later today. Well when 1PM EST (10AM PST) rolls around, we’ll finally begin to see the light. Don’t know what to expect? Maybe we can help. If you’ve been following the news on Techtronica or on other tech blogs, you may have noticed something different with the name of the next iPad, the iPad HD. This hints to an “upgraded” or “improved” form of the current iPad, the iPad 2. If the name were the iPad 3, I would expect drastic improvements and significant (or at least more obvious) differentiation in design such as with the iPad and the iPad 2. Take a look at parts assumed to be new iPad components that were acquired by M.I.C. Gadget. This news came via Engadget. Their observations may provide some more information. …or lack thereof. MG Seigler wrote on TechCrunch a couple hours ago on how tech blogs have really good at predicting what Apple will be pulling out of their magical bag. Now of course this can ruin the “surprise” for some, but this foreknowledge is examined and used to deem the product as a failure. There are those who will call the currently unreleased iPad a failure…or already have. Yes I’m looking at The Mercury News Service, CNET and The AP among others. Now it’s perfectly within their right to draw that conclusion, but a product shouldn’t be judged before its unveiling. The reason it’s called a product is called a failure is that many critics think that there aren’t enough improvements in the design and overall performance. This automatically equals failure for them. If this is true, wasn’t the iPhone 4S considered a failure and yet Apple made a $46 Billion dollar profit last quarter? Included in that number were the then $25 million dollars made off of iPad 2s alone. Does that sound like a failure to you? Although there are critics that always rag on everything Apple touches, smells, buys or sells, but Apple has never failed at sparking innovation. Thanks to introduction to the original iPad, a door of almost endless possibilities has been opened up. Education for children, teens, college students, even working adults has now been revolutionized to include high levels of interactivity and productivity which before was never thought possible. The introduction of the iPad in the medical field has seen vast amounts of promise and will continue to be integrated. Heck, even grandma gets a kick out of it! It pretty much goes without saying that this will be the single biggest tech event of 2012. There will be critics and there will be those who will embrace the new addition to the iPad family. But nevertheless, the event will be enjoyed by all…mostly. So this is something you may not want to miss. Oh, and we’ll have our own live blog that’ll go live shortly before the event. Keep an eye out for it! Previous Previous post: iPad 3 or iPad HD? Which is it? 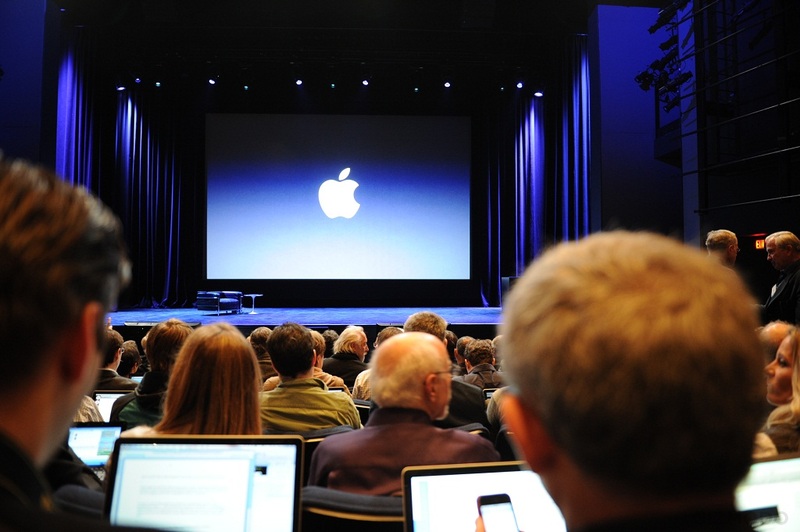 Next Next post: The Apple iPad 3 Event Is About to Begin. Grab a Seat!